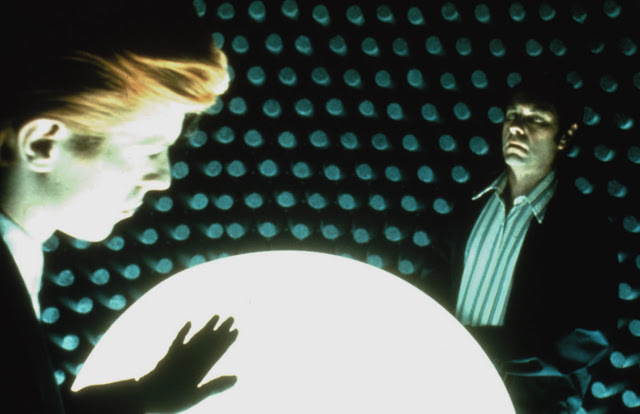 The Establishing Shot: Nicolas Roeg & David Bowie's utterly brilliant Sci-Fi classic The Man Who Fell to Earth is getting a 40th anniversary 4k Restoration reissue. 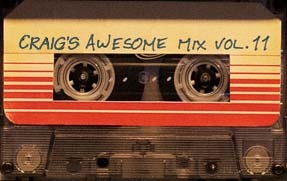 Check out the awesome alternative poster! Nicolas Roeg & David Bowie's utterly brilliant Sci-Fi classic The Man Who Fell to Earth is getting a 40th anniversary 4k Restoration reissue. Check out the awesome alternative poster! It is no secret that I am a huge Nicolas Roeg fan. His career epitomises a time honoured path of a master of the arts. Incredibly talented he started out as an Apprentice Editor following a path learning all aspects of filmmaking that led to eventual auteur-ship. Able to draw on his multidisciplinary talents and experience, particularly his camera work to shape emotive works of art. Along the way he worked with just about every serious talented individual in film as he carved out a path of originality - often leading to being at odds with the studios as he manifested his unique vision. 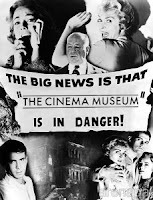 Indeed some of his works are amongst my favourite films but all of them across the board are compelling viewing and offer an almost hallucinatory and unique viewing experience. Roeg's works have been on my mind lately, most recently with the release of concept art for the Blade Runner sequel, the original was made by legendary British Producer Michael Deeley who also produced Nicolas Roeg's brilliant adaptation of Author Walter Tevis' The Man Who Fell to Earth, watching the extra features on last year's Far From The Madding Crowd restored release I discovered Nicolas Roeg's involvement and early signs of his trademark camera work, and of course the tragic passing of one of our shining lights - David Bowie the titular Man Who Fell to Earth - one of my favourite science fiction films of all time. 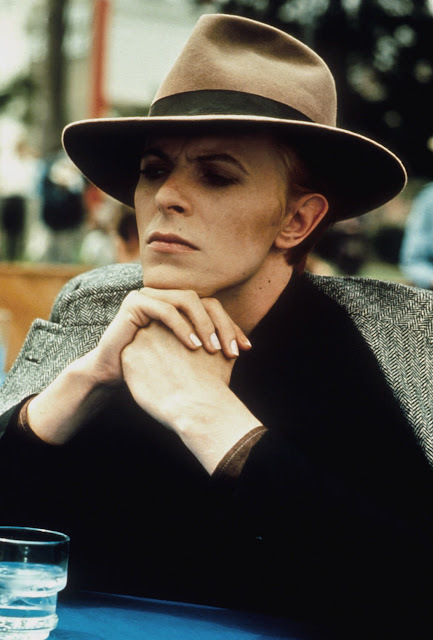 For me The Man Who Fell to Earth is a companion piece alongside Roeg's debut feature six years earlier - the great Performance, which he co directed with Donald Cammell (who conceived the concept and wrote the screenplay) and his Bad Timing with Art Garfunkel. Not only do the film and music world's blur with the casting of prominent musicians - Mick Jagger in Performance and David Bowie in The Man Who Fell To Earth but reality and film merge as Roeg explores issues of identity, duality, isolation and humanity in an experimental experience - drawing on his actor's understanding of the issues of fame and the lines between themselves and others to bring their characters to life in engaging performances. So I'm over the moon that for its 40th Anniversary The Man Who Fell to Earth has been restored and will be getting a high definition 4K home release, a Special Collector's Edition release as well as a big screen release - as it should be seen. The upcoming re-release is part of STUDIOCANAL's Vintage Classics collection - showcasing iconic British films, all fully restored and featuring brand new extra content. 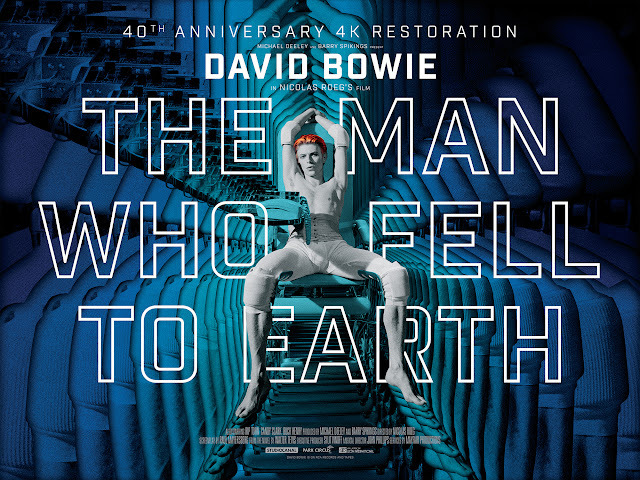 To mark the 40th anniversary of the UK release of director Nicolas Roeg’s iconic science fiction odyssey, The Man Who Fell to Earth, STUDIOCANAL is thrilled to announce that they are near to completing a new 4k restoration of the cult classic. The restoration has been in the works since late 2015, but is now especially timely and poignant given the news of David Bowie’s death earlier this year. 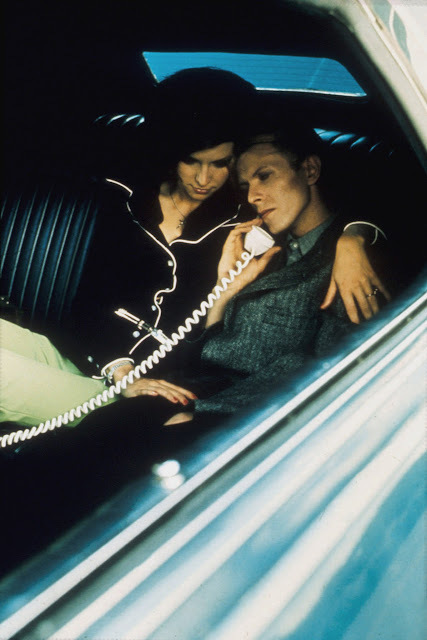 David Bowie was originally due to record the soundtrack but Nicolas Roeg decided the direction he was going in didn’t fit the film and, so, hired The Mamas & The Papas’ John Phillips instead. Director Nicolas Roeg began his career in film as a camera operator before progressing to the role of cinematographer on films including Roger Corman's The Masque of the Red Death, François Truffaut's Fahrenheit 451 and John Schlesinger’s Far From the Madding Crowd. Having moved to directing with 1970’s Performance, Roeg went on to helm an extraordinary run of films over the next decade that included Walkabout, Don’t Look Now and The Man Who Fell to Earth. Since then, Nicolas Roeg has enjoyed a long and highly acclaimed career, inspiring many of today’s filmmakers from Danny Boyle to Ben Wheatley and picking up numerous awards and accolades including a BFI Fellowship in 1994.